GAROWE, Puntland - One of the major infrastructure that Puntland region depends on to keep its economy alive- the road connecting Puntland’ cities are drastically worsening due to negligence by Puntland Highway Authority “PHA” which is mandated to reconstruct damaged roads, Garowe Online reports. The road connecting Puntland’s cities was build during late Somali President Siad Barre before the collapse of the central government. The road boosted commercial trade between Somalia’s region and was the gateway for goods to be transported from northern region to other regions and to Ethiopia. Upon the establishment of the PHA agency, Puntland government assigned the fund allocated for the agency from the taxation of all vehicles, car accessories and spare parts imported at Bosaso Port. 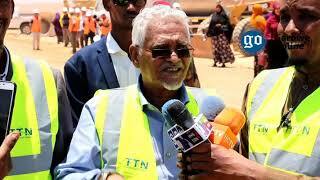 The fund is collected by the Ministry of Finance on behalf of the agency which is used to rehabilitee damaged roads. “In the past four years, the agency didn’t carry its duties to rehabilitate damaged roads that are considered the backbone for the economy of the region,” said PHA’s staff who spoke under condition of anonymity. Close sources tell GO that the reason behind the current government led by President Abdiwali Mohamed Ali “Gaas” has turned blind eye on maintaining the existent infrastructures are; spending the allocated funds on political issues and short-sighted focus to gain public support through announcing new infrastructure projects-which has no official funds- in order to advance own political position and reputation over previous governments. 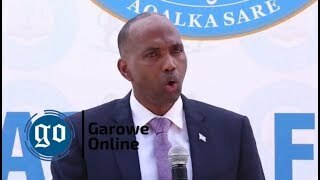 Moreover, the sources revealed that Abdirazaq Burgal, former PHA director during late President Adde Muse administration who is now close to Puntland Presidency is indirectly managing and influencing the operation of the agency. 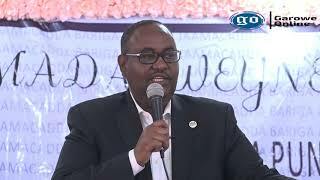 In last October, Puntland President has fired former PHA Director Mohamud Abdinur and replaced him with Abdirazaq Yusuf Elmi, after the former was accused of involvement in rigging the bidding process for the rehabilitation road project. The European Union [EU] is funding the Jalam-Harfo corridor (80 Kilometers) project through the Germany-based NGO, GIZ., which also co-supervising with the PHA in the infrastructure work. 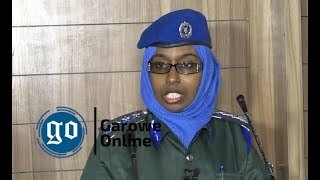 Abdinur was also accused of negligence to carry out responsibilities to improve the condition of major roads in Puntland region. 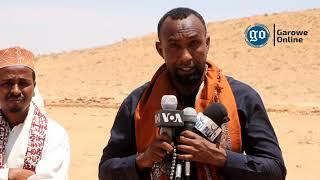 A group of Puntland businessmen who mobilized themselves threatened to rehabilitate the damaged road between Waiya and Sherbi villages after their complaint wasn’t effectively addressed by Puntland President and PHA. According to reliable sources, the machinery used by PHA to reconstruct roads is currently located in Mudug region for almost two years for constructing the diversion road as the 80-kilometer Jalam-Harfo road is under construction. The privately owned company “Is-Xilqan” that won the contract to reconstruct the EU-funded road between Jalam and Harfo will be using PHA’s machinery after the diversion street following failure to carry out the reconstruction work due to lack of necessary machinery. Critics accused Puntland Presidency of having a close connection with the Is-Xilqan company. 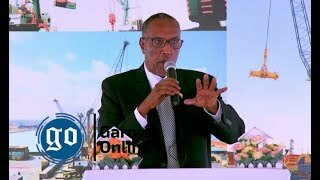 Since the election of President Abdiweli Mohamed Ali "Gaas", the current government was calling to build new infrastructure projects in the region despite lacking a comprehensive policy to capacity build agencies that effectively maintain and manage this projects.